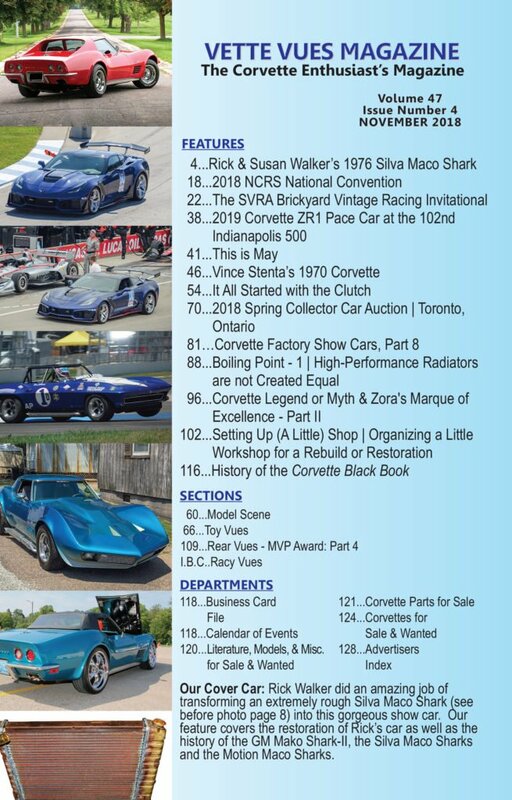 Our Cover Car: Rick Walker did an amazing job of transforming an extremely rough Silva Maco Shark (see before photo page 8) into this gorgeous show car. 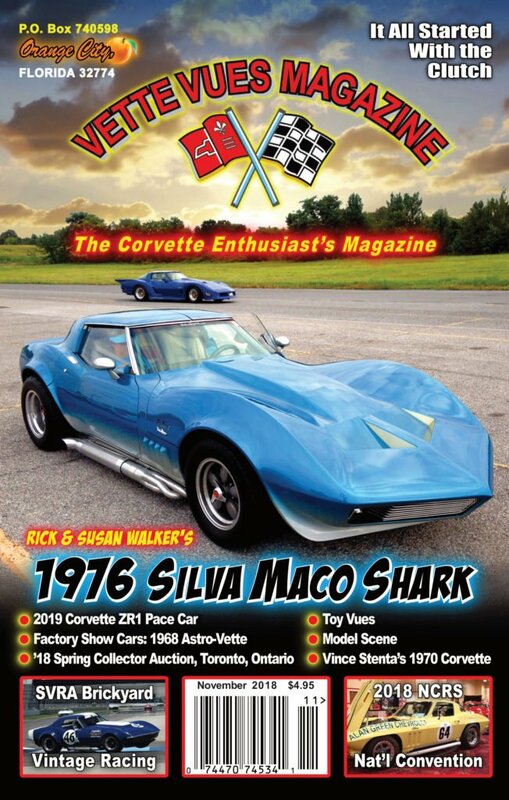 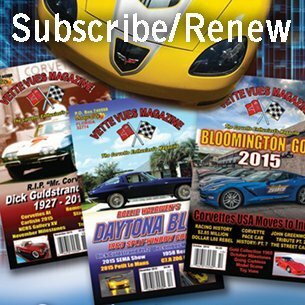 Our feature covers the restoration of Rick’s car as well as the history of the GM Mako Shark-II, the Silva Maco Sharks and the Motion Maco Sharks. 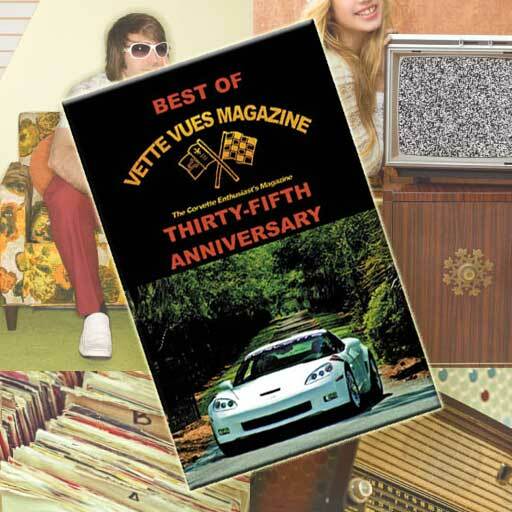 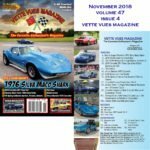 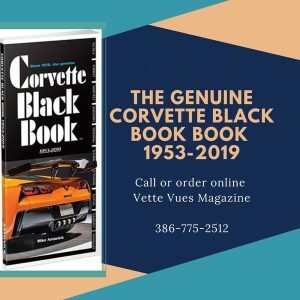 Tags: November 2018 Vette Vues Magazine, VETTE VUES MAGAZINE VOLUME 47 ISSUE NUMBER 4	.